More than a thousand years ago, in the Middle Ages, the valleys in the territories of Agrigento, Caltanissetta and Enna were dominated by crenelated castles, often built on top of steep rocky hilltops, like the castles of Mussomeli, Enna, Mazzarino, Butera, Delia, Falconara, Pietraperzia and Gela. 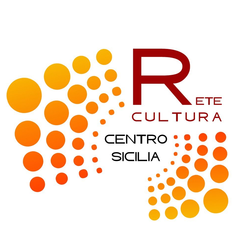 If you wish to know more about these castles we invite you to have a look at the dedicated tour called “Itinerari di Pietra tra i Castelli del Nisseno" (Stone itineraries: the castles of Caltanissetta province) curated by IRPAIS (the Research and Promotion Institute for Central Sicily). The wealth that came from wheat cultivation in the area supported the development of refined renaissance courts which governed Sicily’s inland until the eighteenth century. Its main centres of power were Caltanissetta, Mazzarino, Piazza Armerina and Pietraperzia, which, as a result, boast many renaissance and baroque churches and fine works of art by European and local artists, thus demonstrating an unsuspected but lively cultural activity. You will be amazed!